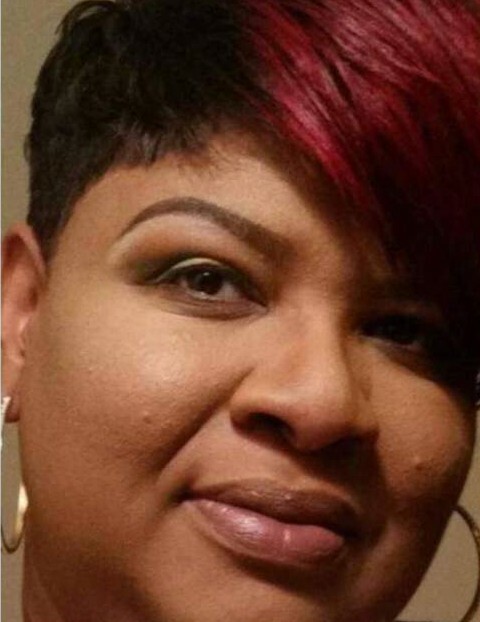 Obituary for Monica Lynette (Fiorentino) McGibboney | Wright Funeral & Cremation Services, Inc.
Monica Lynette (Fiorentino) McGibboney, "Monnie", 45, of Coatesville, PA, passed away unexpectedly, Wednesday, March 20, 2019. Born in Coatesville, on May 7, 1973, she was the daughter of Jeanie M. (Fiorentino) Fortune, and the late Rev. George David Grove, Sr. Monica was the wife of Sultan Sharrieff McGibboney. She attended the Coatesville Area School District, and worked as a driver for Rover in Downingtown, PA.
Monica is remembered as being a caring, loving person who loved life and people. She served the community through her cooking and provided meals on Thanksgiving. Some of her most popular dishes were sweet potato fluff, fried shrimp, collard greens and potato salad. 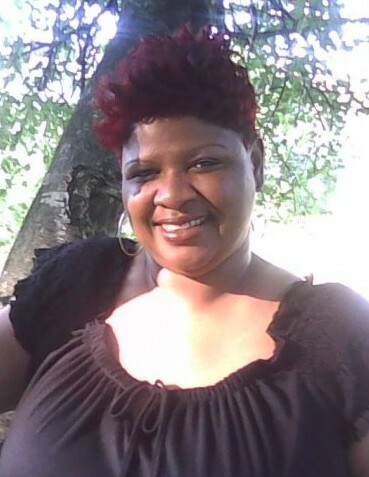 Monica loved to travel, play cards (Pokeno), and enjoyed reading drama novels. Just like many of us, she loved her music, especially "Earth Wind & Fire". She was also very particular about her hair. In addition to her father, she was preceded in death by one son, Cordell I'ran Fiorentino-Floyd; grandparents, George O. Johnson, Sr. and Monica L. Johnson; father- in-law, Rudisill Alston, Sr., and sister-in-law, Sheena McGibboney. She leaves precious and lasting memories to her husband, Sultan, one daughter, Corshay I. Fiorentino-Floyd of Coatesville; two sons Elijah Kyrell Fiorentino-Floyd of Coatesville, Qur'an Lamont Fiorentino of Columbia, PA; mother, Jeanie M. Fortune (and husband Jerome) of Coatesville; three sisters: Shamona Baylor (John) of Harrisburg, PA, Georgia Grove of Atlanta, GA, Lakera Allen of Coatesville; eight brothers: Demetrius L. Fiorentino, Sr, Andre' E. Fiorentino both of Coatesville, George Grove III of Lancaster, PA, Aaron Grove of Harrisburg, PA, Burrell Ruffin of Pottstown, PA, Michael Smith of Coatesville, Dajore' Grove and Jordae Grove both of Lancaster, PA; two step-sisters, Catrina Wilson (LaMont) of Coatesville and Janelle Brazzle of Atlanta, GA; three step-brothers, Dana (Sundae) Ray of Richmond, VA, Jay M. Ray, and P. Lemar Thompson both of Coatesville. She is also survived by her mother-in-law, Linda McGibboney of Coatesville; sisters-in-law: Ellyana "Elly" Alston-Tippins of Phoenixville, Charmaine Thompson, Darlene Hines, Pamela Alston; and brother-in-law, Rudisill "Rudy" Alston, Jr., all of Coatesville, step-mom, Deborah Thompson, 9 grandchildren, and a host of aunts, uncles, nieces, nephews, cousins, other relatives and friends. Though Monica's life was ended much too soon, we will forever cherish her memories in our hearts. A candlelight vigil will be held at 9:30 pm Wednesday, March 27 in the Coatesville Walgreen parking lot. Funeral services will be held 10 AM Saturday, March 30, 2019 at the Church of the Good Shepherd, 107 S 17th Ave, Coatesville, PA. A viewing will be held from 9-10 AM. There will also be a viewing at the funeral home on Friday March 29, from 5:30 - 6:30 pm. Interment will be in Philadelphia Memorial Park in Frazer, PA. Flowers may be sent to the church. The theme color is red. Condolence letters from churches and organizations should be emailed to wrightfuneralsvs@aol.com or faxed to 610-383-7523. Friends and family are welcomed to light a candle or share "Memories of Monica" in a message on the website guestbook.